Nothing heralds the festive season like bustling shopping malls and main streets adorned with tinsel, baubles and Christmas cheer. Ton van der Veer is the master of Christmas! Ton has been designing and project managing festive installations for malls and main streets, corporate headquarters, retail stores, and hospitality venues both here and in Europe. His decades of experience with Christmas displays means he not only comes up with magnificent designs that work for the space, but he effectively and safely manages and executes installation with his team of experts. 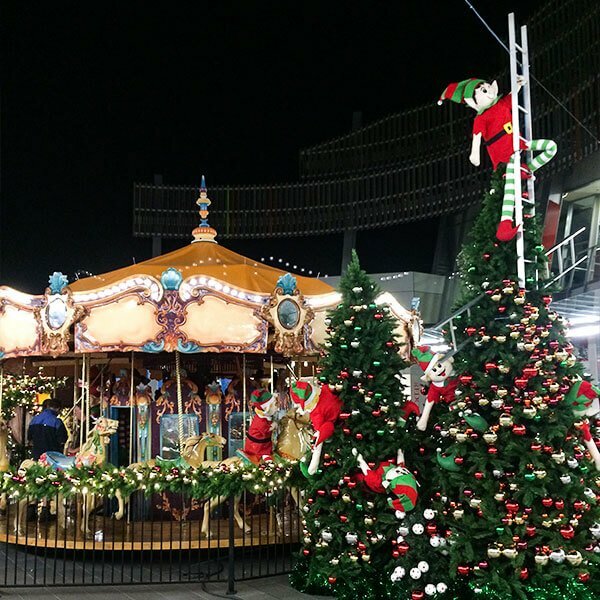 The brief was to create a whimsical wonderland that would bring families from all around to Sylvia Park Mall to experience the magic of Christmas. Ton brought the brief to life with a concept for the entire mall, inside and out, including a towering Christmas tree that could be seen kilometres away. Using custom decor, he had elves swinging from giant baubles and climbing out of windows, getting up to mischief throughout the mall. Ton van der Veer Limited successfully managed prop sourcing, production, staff and contractors, artistic execution and breakdown.